In September 2000, just after the second intifada broke out, I wrote a prayer for peace between Israelis and Palestinians. We have been reciting the prayer at my synagogue ever since. I was prompted to write the prayer for two reasons. First, praying for a just peace was my natural response to events that finally spelt the end of the peace process. Second, because the Israeli poet, Yehudah Amichai, had just died and feeling a deep sadness at the loss of this unique personality, whose poetry spoke so lyrically of the anguish and joy of being an Israeli, I was reminded of his poem, ‘I, may I rest in peace’. 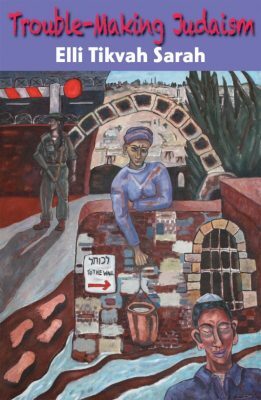 When Rabbi Lea Mühlstein and I as co-editors of the new Liberal Judaism siddur were working on the first draft and decided to include my prayer for peace, we realised that it was a new departure, but we did not think it would be controversial. But then, at that time, President Trump had not decided to move the American embassy from Tel Aviv to Jerusalem, sparking mass protests amongst the Palestinians, in particular, in Gaza – and large sections of the Jewish community in the UK, already perturbed by the ongoing issue of anti-Semitism in the Labour Party, had not reacted with outrage in response to young Liberal and Reform Jews participating in the Kaddish for Gaza event that followed the killing of 70 Gazans by the Israeli army. Why were so many Jews from across the denominational spectrum outraged about the fact that those young Jews had participated in the Kaddish for Gaza? Of course, Hamas holds sway in Gaza, and many people felt that Israel was simply responding to the threat posed by what was regarded as Hamas-incited mass demonstrations at the Gaza-Israel border, the site for many years of rocket attacks into Israel. Hamas fighters were amongst those killed. How could young Jews say Kaddish for Hamas militants? I think there was a deeper reason for the outcry. How could young Jews show solidarity with those considered to be ‘our enemies’? How could the Kaddish, ‘our’ prayer for the dead, be recited for ‘them’? Further, so many of those young Jews, were involved in Zionist youth movements. They had been on Israel Tour; they had spent their gap year on Shnat. But as Liberal and Reform participants, they had also been imbued with ethical values concerning justice and equality and had spent time meeting groups fostering reconciliation between Israelis and Palestinians. Quite simply, committed Zionists, those young Jews felt compassion for the people of Gaza, and that’s why they participated in the Kaddish for Gaza. The first draft of the new siddur was used at the end of June Liberal Judaism biennial. Although it wasn’t official LJ policy, I was warned off reciting my prayer for peace during the Shabbat morning service. Given that there can’t be a single Jew anywhere who doesn’t hope that there will be peace, how could anyone object to reciting a prayer for peace between Israelis and Palestinians? Perhaps, the problem lies in the presentation of equivalence between Israelis and Palestinians. The prayer is non-partisan because peace can only be achieved if the needs of both peoples for peace are acknowledged. The prayer also appeals to the One God of us all, the One who teaches every human being the values of compassion, righteousness, justice and peace. I chose the wording very carefully, beginning each paragraph with an appeal: to the God of Compassion to stir feelings of compassion amongst both Israelis and Palestinians, to the Source of Life to send blessings into every home, Israeli and Palestinian, so that new hope may overcome old fears, to the Righteous One, that a spirit of righteousness may prevail, so that both peoples find the courage to reach a just settlement of their differences, to the One who teaches us to be seekers of peace to spread a tabernacle of peace over all the inhabitants of the land, and to support the peacemakers among both peoples in their efforts to walk the path of reconciliation. Significantly, many of the Israelis and the Palestinians who are devoted to reconciliation are those who have been bereaved in the conflict. The Parents Circle Family Forum (http://theparentscircle.org), which facilitates dialogue meetings between bereaved Israelis and Palestinians, demonstrates that when opportunities are created for people to speak about their pain and loss and be heard by those whom they regard as responsible for their pain and loss, even those who are most divided from one another can be brought together. A just peace between Israelis and Palestinians will only be achieved when both Israelis and Palestinians feel able to acknowledge each other’s suffering. 70 years after the establishment of the State of Israel, without any hope of peace in sight, hasn’t the time come for Jews across the world to recognise the needs of Palestinians alongside the needs of Israelis, and pray for peace between Israelis and Palestinians? In recent years it seems that there has been a growing division within the diaspora Jewish community between the supporters of a “secure” Israel, on the one hand, and the promoters of a “just” Israel, on the other. But the landscape of Jewish attitudes has been changing. According to the initial findings from the Israel survey conducted last year by the London-based Institute for Jewish Policy Research, 78 per cent of the 4,000 respondents supported a two-state solution – and 72 per cent described themselves as Zionists. So it seems that perhaps we can talk of “new” Zionists and a “new Zionism” that embraces recognition of the need of the Palestinians for statehood. But what is the substance of this new Zionism? Is the two-state solution simply, “a political solution to a political problem”? Or, is the new Zionism inspired by Jewish values? On February 24 1939, Martin Buber, wrote a letter to Mahatma Gandhi, who had taken the position that “Palestine belongs to the Arabs”. Buber’s attitude to the other inhabitants of the land reflected his philosophy of ‘I and Thou’. But Buber’s approach was also rooted in the Torah’s insistence on justice and acknowledgement of the needs and the rights of others (see Leviticus 19). At the time that he was writing, before the Shoah and the establishment of the state of Israel, Buber was part of a group of Zionists called Brit Shalom (“Covenant of Peace”), who hoped that Jews and Palestinians would be able to live together. If he were alive today, after everything that has happened, I have no doubt that the “compromise” Buber would be advocating would be a two-state solution. The Jewish community is united in its longing for peace. On the ground, peace between Israelis and Palestinians cannot be achieved in the absence of justice because the Palestinians will not give up their struggle until they have secured a state. But the longing for peace on the part of diaspora Jews is also about something else: peace of mind. New Zionism creates the possibility of congruence in the hearts and minds of those who love Israel, and want the Jewish state to thrive and survive – and who love justice, too. Diaspora Jewry needs a new Zionism – and so does Israel. According to the rabbis, the root cause of the destruction of the second Temple by the Romans in 70 CE was sinat chinam, “senseless hatred” between the warring factions of Jewish society at that time (Talmud, Yoma 9b). It is unthinkable that the state of Israel, like its previous incarnations, might be consigned to history, but it is possible. What would be the cause this time? Isaiah preached during the second half of the eighth century BCE, during the years before and after the northern Kingdom of Israel was wiped out by the Assyrians, and more than a century before the Babylonians destroyed King Solomon’s Temple in 586 BCE and devastated Judah. A two-state solution is a spiritual as well as political necessity. In recent months, a new Jewish grassroots movement called Yachad has been launched, determined to raise awareness of the “growing numbers within Israel, including former army generals, heads of intelligence and leading academic and cultural figures, who believe that a Palestinian state based on 1967 borders, with mutually agreed land swaps, is urgent for Israel’s long term survival and security”. In a few days, the United Nations will vote on the establishment of an independent State of Palestine. The time is now. The haftarah prior to Tishah b’Av, concludes: “Zion shall be redeemed by justice (b’mishpat), and its repentant people by righteousness (bitzdakah)” (1:27).